Adelaide-based technology and engineering company SAGE Automation is increasing production of its smart container deposit systems on the back of increased demand from Queensland. 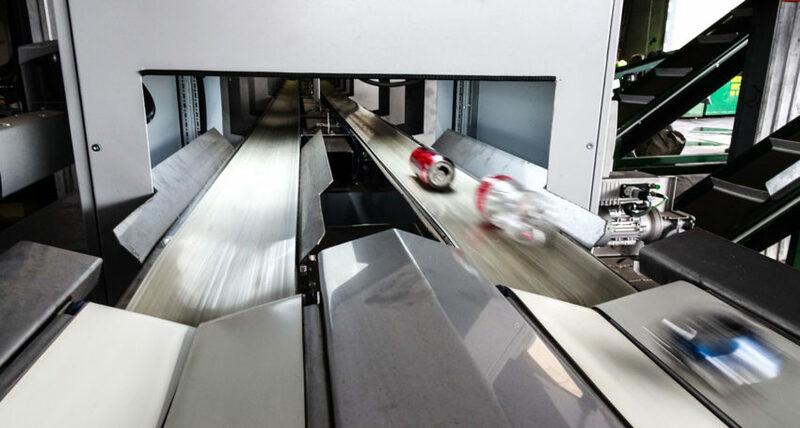 The machines were developed by SAGE Automation and the University of South Australia for South Australian company Container Deposit Systems (CDS) to help decrease Australia’s landfill. South Australia has led the country in recycling, introducing a container refund scheme in 1977, but other Australian states have only just begun to refund bottles and containers. Since Queensland launched its Containers for Change scheme in November 2018, CDS has recorded a rise from 32,000 to 230,000 containers per day through its 16 Semi Auto Return Terminals (ART) at private recyclers across six sites. The terminals allow customers to return deposit cans, plastic bottles and glass in any condition for a 10c-per-container refund. More than 344 million containers have been returned to date since the scheme commenced late last year. The ARTs identify and sort containers by integrating Industrial Internet of Things (IIoT) technology and a vision counting and sorting system developed by SAGE over two years. A recycling depot employee loads the mixed containers onto a vision and sorting system hopper that uses advanced vision technology to count up to 350 containers per minute without the need for coding or labelling. The containers are counted in real time for a predicted refund sum that customers can view on a TV screen at most facilities. Conveyer belts, electric motors and spinning discs sort the containers by separating common recyclables like metals, plastics and glass. The machines have seen thousands of images of containers and can identify different container types, including unwanted materials. The containers are ready to be recycled once compressed air pushes them into specific categorised cages. The entire process takes only a few minutes and a refund receipt based on the number of containers counted is automatically generated. SAGE Automation General Manager Paul Johnson said the terminals are above 99 per cent accurate in counting deposit containers and have not had any serious technical or functional issues. “The machines have been very reliable and are well supported by SAGE services nationally,” he said. The company remotely monitors the machines, including some systems based in rural Queensland, from its operations centre in Adelaide. SAGE Automation General Manager Paul Johnson loading one of the machines. SAGE is manufacturing 30 more ARTs to meet demand as more states implement container deposit schemes. CDS plan to integrate its machines into the West Australian market mid next year and will explore options in the Northern Territory and New South Wales, as well as South Australia. 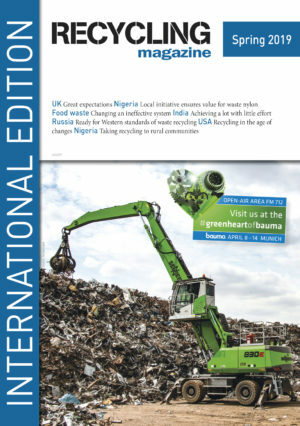 The machines help recycling depots reduce operational costs while improving accuracy and customer experience. The World Steel Association (Worldsteel) has released its April 2019 Short Range Outlook (SRO). Worldsteel forecasts global steel demand will reach 1,735 Mt in 2019, an increase of 1.3% over 2018. In 2020, demand is projected to grow by 1.0% to reach 1,752 Mt. The Supervisory Board of Vecoplan AG has appointed Michael Lambert to its Management Board effective 1 April 2019.